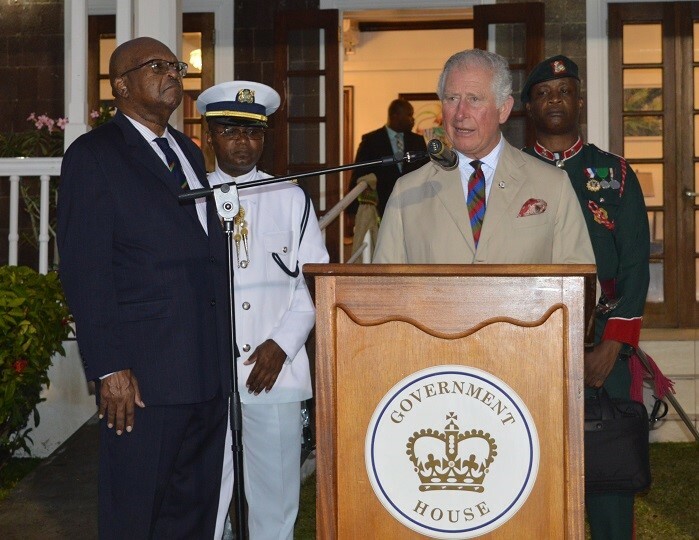 Basseterre, St. Kitts, March 22, 2019 (SKNIS)—His Royal Highness (HRH) The Prince of Wales has announced Postgraduate Commonwealth Scholarships to mark the 70th anniversary of the modern Commonwealth and in recognition of his own 70th birthday. HRH was born on November 14, 1948, and named Charles Philip Arthur George, the eldest child of Her Majesty Queen Elizabeth II and heir apparent to the British throne. Speaking at a reception at Government House, in St. Kitts, The Prince said that “helping young people achieve their potential” is something for which he has always been minded, and it is for this reason that he started The Prince’s Trust 43 years ago. The Prince of Wales Scholarship Programme was developed in partnership with the Cambridge Commonwealth, European and International Trust. Up to 20 scholarships will be offered over a three-year period for postgraduate applicants from any Commonwealth nation to commence in 2019, with the first recipients taking up their places at the University of Cambridge for the academic year 2019-20. The level of study will be a mixture of Masters and PhD degrees in fields of study that would focus on practical themes affecting the future of the Commonwealth and which The Prince has been focused on for more than 40 years. These include sustainable communities, climate change, and the blue economy. Each scholarship will cover fees and living expenses and would be tenable at the University of Cambridge. The Cambridge Commonwealth Trust was created in 1982 with The Prince as its Founding Patron as a charity to support international students from member countries of the Commonwealth who wished to study at the University of Cambridge. It merged with the Cambridge Overseas Trust (founded in 1989) on 1st August 2013 to form the CCEIT (The Cambridge Commonwealth, European & International Trust). The CCEIT awards approximately 500 scholarships annually and supports between 1,100 and 1,400 students in residence each year from 85 countries across the world. During its history of over 30 years of offering scholarships at the University of Cambridge, the Trust has awarded a total of nearly 19,000 scholarships to international students.